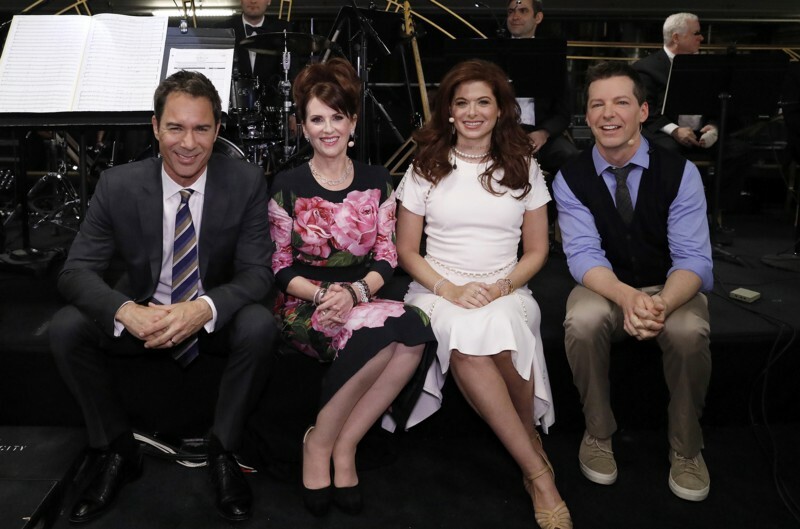 There is SO much to talk about with Will and Grace. So many truths that came from this show for me and also, a full circle moment when I actually got to meet Eric McCormack, which also inspired me and solidified a decision to help with Eastsiders. I think for this particular article, I will discuss the flashback episode where Will came out (Lows in the Mid-Eighties: Part I and Part II, Season 3, Ep 8 and 9). For me, it was powerful because I actually wasn’t out yet when it first aired. I definitely had a group of friends that I could have come out to and who also knew already but I wasn’t ready to verbalize it at all. I think from the moment Will and Grace first aired, I felt the biggest amount of relief I had ever felt up to that point (wow, this is going to be a very personal one). Until September 21, 1998, anytime I saw a character on television who was gay they were small parts or caricatures of some sort. They were over-the-top, judged, hidden, and not exactly how I felt about myself or my own life. Flash forward to Season three episodes 8 and 9 (November 23, 2000) and I was still not out to anyone really. Of course by then, I was more than sure of my own truth but I just didn’t think anyone else could handle it. I later realized my close circle of friends would have been more than ok with it and also would have been a great support system for me. My parents really don’t handle it at all but that will hopefully come in time. As Sofia Petrillo says, but I digress….. In the episodes we are discussing here, there is a flashback that takes place as Will, Grace, Jack, and Karen are celebrating Thanksgiving. The story goes back to the same holiday in 1985 where Will accidentally proposes to Grace in order to keep his secret when she takes him to her family’s house to celebrate. He is then cornered by Grace to get romantic and has no choice but to be open with her and face the consequences of Grace’s rath. Will phones Jack as the events unfold for advice and I think to hear what he already knew. It seems like Jack is Will’s conscience here and surprisingly, the voice of reason (a very blunt voice). Basically Will needs to hear Jack break down all the evidence leading up the the reality that Will is, in fact, gay. I never had a friend break it down to me, I think they were all waiting for me to say something and it felt like I was forever waiting for the right time. I know I dropped small hints but never anything substantial enough to invite that conversation to fully take place. Looking back, I do regret losing time to be my fabulous self and I think I cheated them and myself from so much. Will was in a similar place as I was and that was so comforting to me. He wasn’t confident and flamboyant as some characters had been and he also wasn’t rebellious as other characters had been. The way Grace reacted to Will’s secret was the way I thought everyone in my life would react but it gave me so much comfort to know they had worked it out and remained so close all of those years after their brief falling out. It helped me to feel it would be worth it to risk whatever I had to in order to live my own full life while allowing everyone who cared about me to know my true self and personality. I actually had trouble watching a few Will and Grace episodes when they first aired because there was so much emotion attached for me and even now, in reruns, I get a little teary-eyed. Also, it may seem a little out there, but it helped me at times to think of them as friends in my head when I needed help to get through certain situations. I have the same connection with the Golden Girls because they have been like my grandma and aunts in my head when I need a little boost especially since I always watched them with my own Grandmother and we were so close. Fast-forward to last year (or should I use Madonna’s Will and Grace line, Cut to me?) 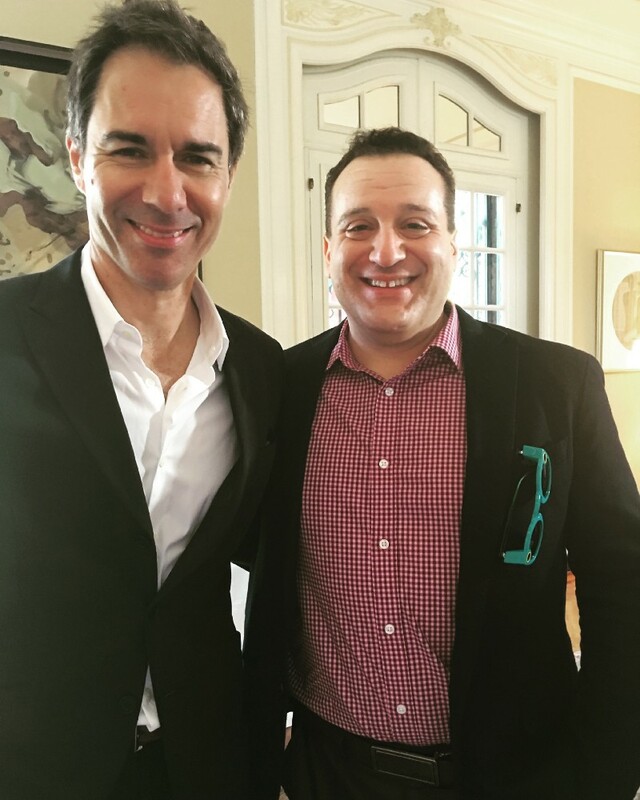 when I had the honor and privilege of meeting Eric McCormack at the Canadian embassy in Los Angeles during Oscars season and also to last year when I made a decision to actually get involved as a producer on a series I feel follows in the footsteps of shows like Will and Grace, Eastsiders (which we will be discussing at some point as well). I hope all of this doesn’t seem too odd to anyone and I hope you can see why I believe television has an impact on us in more ways than just entertainment. I have lived this so I know it can be comforting, cathartic, and inspiring. As always, I’d like to know your thoughts on Will and Grace, specific episodes or scenes if you’d like, and any other show that has/does affect you. In a time where we are all so divided, I’d like to have conversations that unite us and spark passionate discussions but aren’t detrimental in any way. Lastly, I hope you are enjoying the new season of Will and Grace as much as I am. If you’re on Twitter, follow me there and we can live Tweet it along with all of our other favorite shows!